I am so excited for Mother’s Day! Not because it’ll be my third year being a Mom on Mother’s Day, (although that is amazing on it’s own) but because I’ve got an adorable Mother’s Day card in the works for my mom. It seems obvious to use family photos for things like Graduation announcements and Christmas cards – but it had honestly never occurred to me to use them for in-between holidays like Mother’s Day until this year. You see, I was contacted by Befunky – a company that develops photo editing/design software meant to be “easy enough anyone can create beautiful photographs and professional-quality graphic design without any special skills or technical expertise.” They offered me a free version their upgraded software (the regular version is already free!) and asked me to check out some of their new photo effects and Digital Art. Oh. My. Goodness. The Photo to Cartoon Effect. I’m a Graphic Designer. 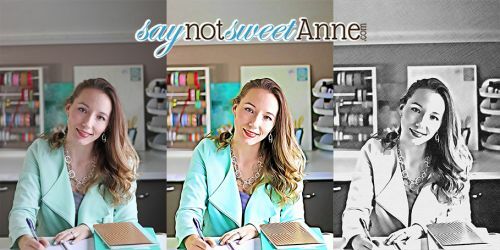 I have seen literally hundreds of “cartoonify” and “sketchify” filters, Photoshop Actions, and step by step tutorials. So let me be honest here and say I didn’t expect much of the Befunky online software. I mean, most of the time these just turn photos into a weirdly dark, ugly and oversaturated caricature, nothing like an actual cartoon. But guys – my cartoon photos turned out gorgeous. Check out this one of me with the original, Cartoon, and Graphite filters. The cartoon effect immediately stole my heart. The results look inked, with vibrant but not overly saturated colors, and even the strands of hair have detail. I immediately went to work on a photo of my son. Here is the Cartoon effect, an Ink effect and Graphic Novel effect. I like them all, but again – the cartoon effect sold me. So now I was wondering what to do with the pretty photos I’d made. Befunky has a lot of editor features, and social sharing too. I didn’t want to just drop it on Facebook though, so I tried one of their design layouts. After some finagling, and a made-up sentiment phrase I landed here. Look at that cartoon hair! All of his little highlights have so much detail, and his shining cartoon eyes are just gorgeous. I know I’ve got to do something with this photo. Then it hit me. Who loves to look at that squishy face almost as much as I do? My MOM. I printed the photo on cardstock, using my printer’s settings to make sure it printed off to one side and not in the middle. Fold it in half and cut out the card and voila! 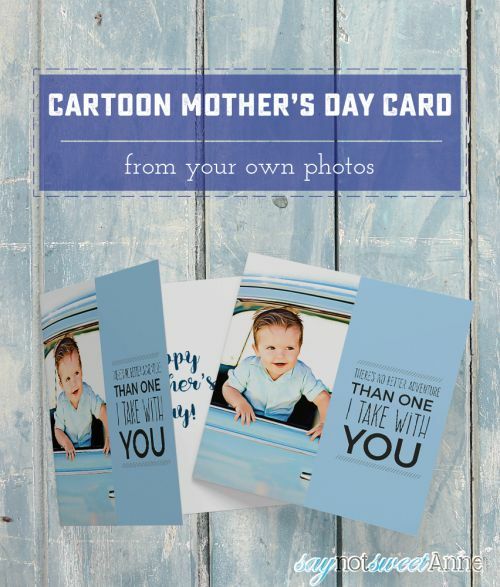 A cartoon Squish card to give my mom for Mother’s Day. What a great use for filter/effect pictures. I’m not usually a fan of online editors, as I have Photoshop and InDesign for all of my designery needs. 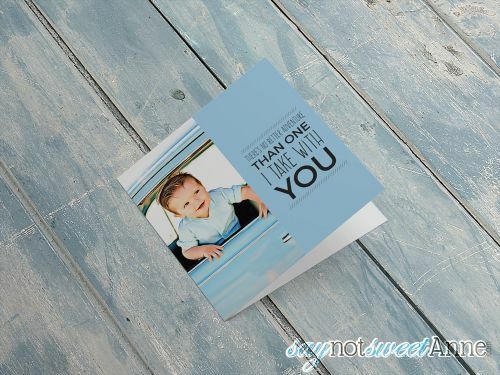 But I can honestly say I was really impressed with how quickly I was able to get the card worked out using the Befunky app. Sometimes it is nicer not to start from scratch. Now, the Photo to Art effects are only available in the paid version of the app ($4.95/mo) – but a lot of things (including a photo to cartoon effect) are available in the free version. I recommend you hop over to befunky and check it out! 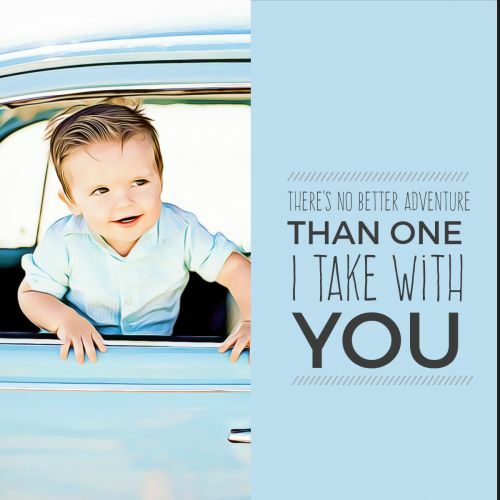 You could also just print a big photo of your kiddos and use the plain version as the card cover. I really like the cartoon effect though, and I think it makes it a bit more special. This post is sponsored by Befunky, all opinions are my own.